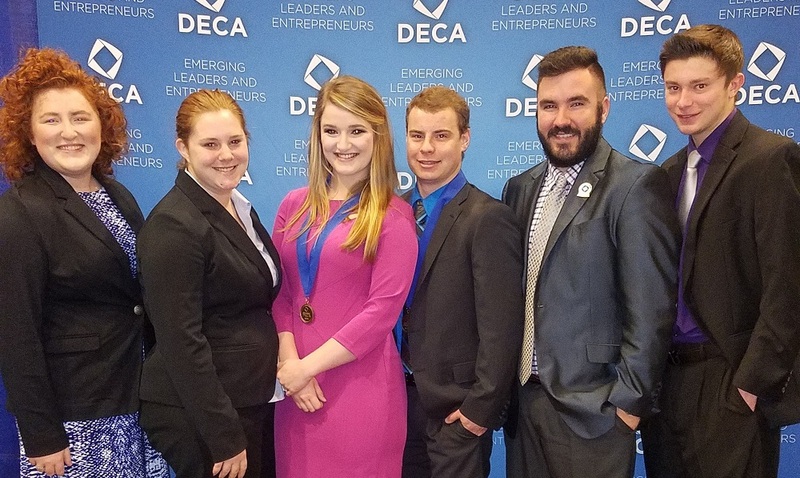 Two Missouri Southern State University students were selected as finalists during the Collegiate DECA International Career Development Competition, held April 19-23 in Anaheim, Calif.
More than 1,500 Collegiate DECA members attended the conference, which included competitive events, professional development academies and management institutes. Katelyn Patterson, a senior human resource management major from Webb City, ranked in the Top 10 in the Human Resources competition. Nathan Teeter, a senior marketing/management major from Joplin, placed second in the Marketing Management event. Also participating in the competition were Matthew Gruenberg, junior accounting major, Webb City; Colton Craig, junior international business major, Webb City; Rebecca Robinson, senior health promotion major, Wentworth, Mo. ; and Katarina Wallace, junior art major, Webb City. To qualify for the international competition, students had to score at least 80 on proficiency tests at the regional level before placing third or higher at the state level.